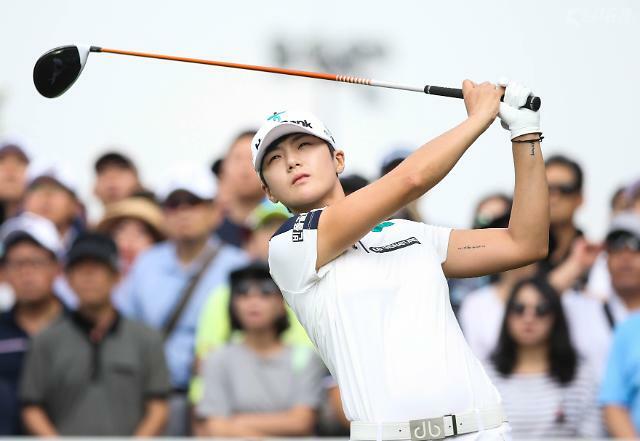 SEOUL -- LPGA star player Park Sung-hyun agreed to wear the logo of Solaire Resort & Casino, based in Manila, under a two-year sponsorship deal that would fetch a record annual payment as a female Korean golfer, according to her agency, Sema Sports. Sema said Thursday that the 25-year-old would participate in a signing ceremony with Solaire on February 14. Without disclosing financial terms, the agency said Park's payment would be the highest as a female golfer. For her LPGA Tour debut, Park signed a two-year sponsorship deal with KEB Hana Bank in February 2017. Her annual payment was estimated at more than 1.5 billion won ($1.3 million). Park clinched the LPGA's Rookie of the Year Award in the 2017 season and shared Player of the Year honors with her compatriot, Ryu So-yeon. In 2018, she won three times including a major title at the KPMG Women's PGA Championship. 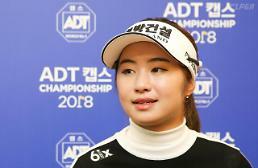 She ended the 2018 season third on the LPGA money list and ranked second in the world to Ariya Jutanugarn of Thailand.